Your time is valuable and should be spent enjoying your time away not planning and researching. We offer a variety of romantic, seasonal, and value-added packages that may include dinner, spa services, recreational activities, local theater and more to assist in your planning of Sister Bay hotel packages. With several different room styles to choose from, you are sure to find the perfect accommodations including single room accommodations with private water views, Specialty Rooms featuring in-room whirlpools and wet bars or our spacious suites w/ whirlpools and gas fireplaces. Packages and Specials vary by season so check back frequently. To reserve a package please call us directly at 800.424.0041, we apologize but packages/specials are currently not bookable online. Insider Tip! Our Specials are our all-around best deal -guaranteed! They are available only by booking directly with the resort and will not be offered elsewhere. -Specials are not combinable with other offers. Looking for a discount? Is your schedule flexible? Our best Spring and Fall deals are available midweek. You can take advantage of a discount on stays of 2 nights or more Sunday thru Thursday. Longer midweek stays may also include a dinner. Midweek in the Fall is a great time to enjoy all of the color and amenities Door County has to offer without the weekend crowds. 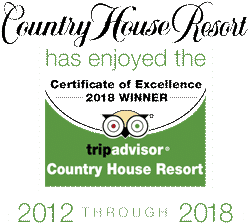 A Door County Getaway is waiting for you and with our Sister Bay hotel packages we can offer you value, convenience or discounts. Our offerings vary by season. Please be sure to check the dates each special or package is available. Looking for something special? Customize your stay with wine, flowers or gourmet goodies thru our pre-arrival concierge choices. Don’t see what you are looking for in one of our existing packages or pre-arrival offerings? Please contact us and a member of our staff will be happy to share their knowledge of Door County businesses and activities to assist you with your planning.